True strength starts in the morning. Breakfast is the most important meal of the day, but making the same protein shake every morning can get a little boring. Grab ON's new Protein Oats Flapjack Bar and get going on the rest of your busy day. 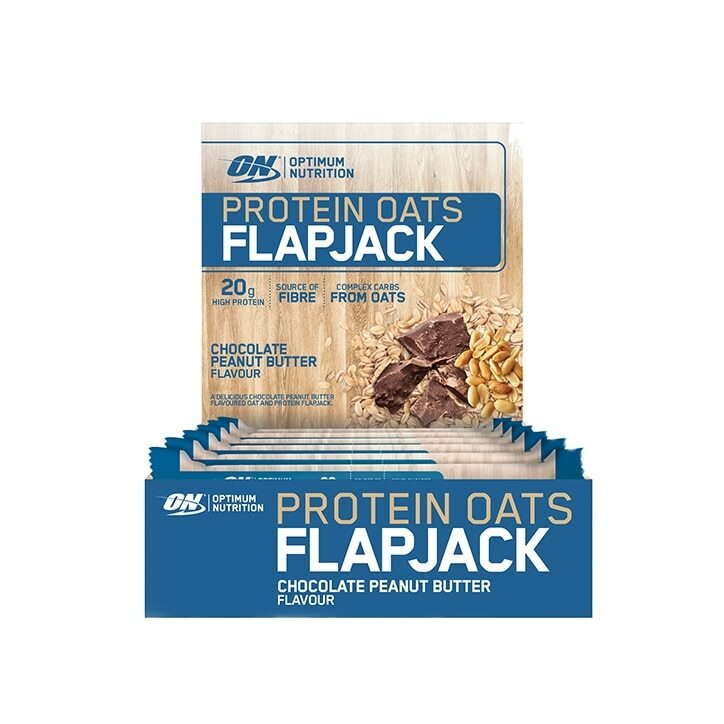 With 20 grams of premium protein and complex carbs from oats, these bars can help fill you up and keep you on-track with fitness and nutrition goals. Whole Rolled Oats (18%), Toasted Malted Oats (Oat Flakes, Palm Oil, Barley Malt Extract) (18%), Milk Proteins, Humectant (Glycerol), Hydrolysed Collagen, Dried Glucose Syrup, Milk Chocolate (6%) (Sugar, Cocoa Butter, Whole Milk Powder, Cocoa Mass, Emulsifier: Soy Lecithin; Flavouring), Humectant (Maltitol Syrup), Rapeseed Oil, Ground Flaxseed, Peanut Flour (1.0%), Fat-Reduced Cocoa Powder, Roasted Peanut Pieces (0.9%), Flavouring (Peanut), Sodium Chloride, Antioxidant (Tocopherol-Rich Extract).